Explore a rare architectural gem, the heritage of glass manufacturing & the collections of DMBC Museum Service. Free family trails available all year round. 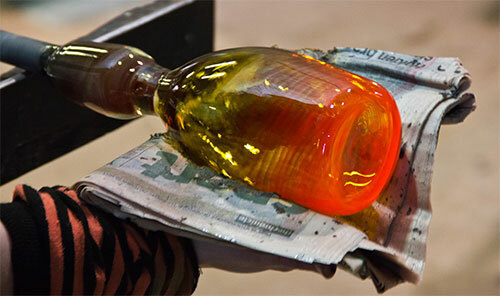 Hot Glass Blowing demonstrations every weekend. Designer maker studios open to watch or purchase unique gifts. Specialist gift shop Canal side location with lots of ducks and geese Built in 1792, the Red House Glass Cone is an historic heritage glassmaking site. This app aims to demonstrate how you can easily expand your marketing capabilities using the latest Augmented Reality (AR) technology. Interactive content around your business can be easily presented to users through various means such as an advert, photograph, logo, a physical building or object. Lying in the heart of the Stourbridge glassmaking industry, the Red House Glass Cone was built at the end of the 18th century and continued to produce glassware’s until 1936. Glass manufacturing was once the lifeblood of the local community and a significant part of Britain's manufacturing strength. Reaching 100 feet, glass cones within the Stourbridge area were commonplace. 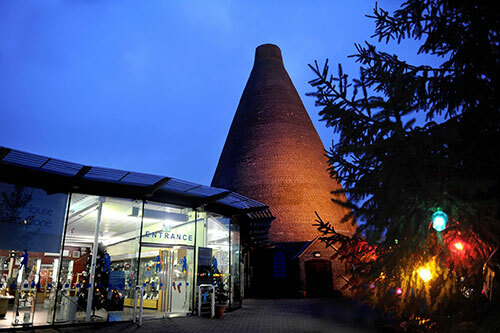 Today, it is the only complete glass cone in the area and one of only four left in the United Kingdom. When the visitor interpretation boards were needing renovation Areca Design was commissioned to not only produce a visually stimulating revamp of all fifteen interpretation panels but to also include a digital interactive element through the use of augmented reality (AR). Areca Design has created an AR app that brings 8 of the panels to life presenting characters from the factory’s past and 3D animations to help explain the workings of the industry.